In 2016 we launched our unique Business Incubator Programme, looking for new EdTech startups to move into our brand new Midtown campus for 12 months. 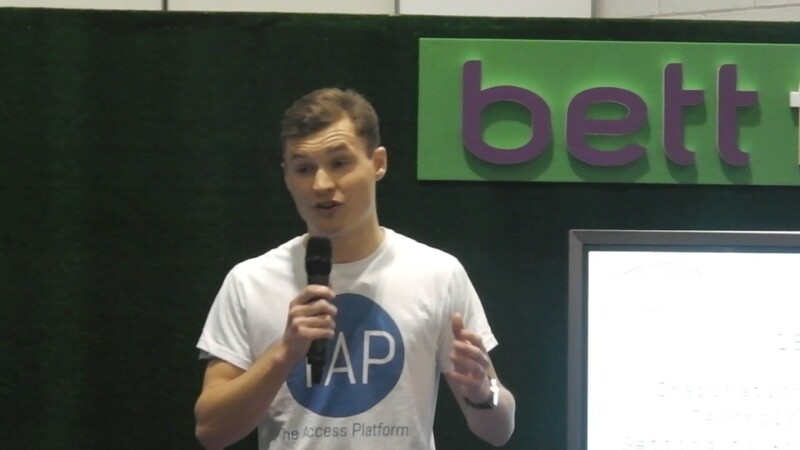 Here you can find out all about our first incubator company, The Access Platform (TAP). We believe that university applicants should have access to speak to students and staff without having to attend an Open Day or be lucky enough to have friends at the universities they're interested in. We build simple and safe technology for universities, that allows them to make their representatives available to prospective students online and in a way that is easy and intuitive to use. This helps prospective students make more informed and more confident decisions about higher education when applying to universities who use our platform. George studied General Engineering at Durham University before working for Amazon Web Service in an Account Management role for two and half years. Whilst at Amazon, George led a number of initiatives to engage with the Financial Service Sector as well as becoming a certified AWS Solutions Architect Associate. After working on The Access Platform as a side project for two years, George left Amazon to work full time on The Access Platform in September 2016. Nik's previous roles include Raising Aspirations Coordinator at Ashton Sixth Form College, Greater Manchester, and Head of Learning Beyond the Classroom as BSix, Hackney. He read English Language and Literature at the University of Oxford and Contemporary Literature, Culture, and Theory at King’s College, University of London. Now Nik heads up Strategy and Engagement to affect change at scale through TAP's technology.